Extremely boring music, lacking in inspiration, simplistic, and with nothing memorable about it. Ultimae appears to be transitioning into generic, bland ambient, "dub techno", and glitchy sorts of music. There are already many other labels releasing this sort of stuff, and unfortunately someone keeps buying it indiscriminately. There seems to be no standards of quality required in this genre, where almost every release you can find is always rated 5/5 and very highly reviewed. I guess this kind of music is considered trendy these days, or at least nobody has the guts to openly state when it's junk. This can very safely be skipped. It's nothing like the music Ultimae used to release. You'll find much better ambient and IDM music on FAX and Carpe Sonum. Ultimae should stick with their roots. 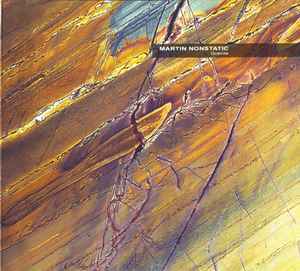 Within the first moments of Martin Nonstatic's 'Granite,' it is immediately clear that we are hearing the creation of an artist who is at the height of his creative powers. It would be shameful if he doesn't get the recognition he deserves for this subtle masterpiece. At the same time, given the trajectory of his creative development, it is clear that he is far from finished. A must listen for fans of Yagya, Fatih Tuter, the work of Ryuchi Sakamoto and Alva Noto, and Loscil.